Direct Warper | McCoy Machinery Company, Inc. The M300 from McCoy is the battleship of the fleet when it comes to heavy duty direct warpers. With it’s cast iron frame, precision machined spindles, and superior braking capabilities, the M300 is the first choice for Tricot, Industrial, and High Speed direct warping applications. The M300 is capable of processing 72”, 65”, 54”, 42”, and Dual 21” beams, all on the same machine/platform. Beam diameters up to 50”. The 101 series of warpers is designed for light to medium duty applications and employs many of the same tried and true designs found in the Model 300 machines. The heavy duty solid steel, laser cut side frames support the fine grain spindle assemblies and ensure perfectly balanced performance with speeds up to 1,200mpm. Working widths from 42” to 72” and beam diameters up to 40”. The WW Series of warping systems allow for loom-beam warping directly from a creel for high end count and wide width applications. With high precision spindles, a state-of-the-art control system, and a wide-width HD s-roll, wide width warping is a highly productive solution for many applications and fibers. 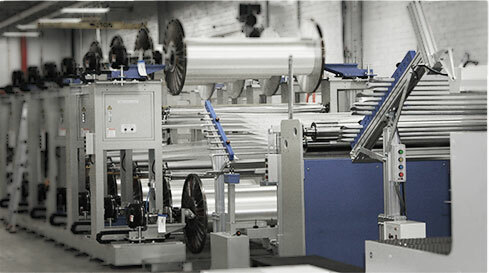 Creels, Tensions, and Yarn Quality Control systems are available and engineered and designed to your exact requirements. Width range from 2000mm to 5500mm. The RB Series of machines come in a wide range of configurations and performance levels. Creel braking systems such as pneumatic, air/disc brake, and servo driven options, allow complete customization of each and every system to meet your exact requirements. Combine this creel flexibility with a range of beamer headstock width and horsepower, from 1800mm to 5500mm, 40HP to 150hp, respectively, and the RB series is a wise choice for your re-beaming needs and requirements. Hook reeds, split rods, s-rolls, and leasing sections are also available and specified accordingly. 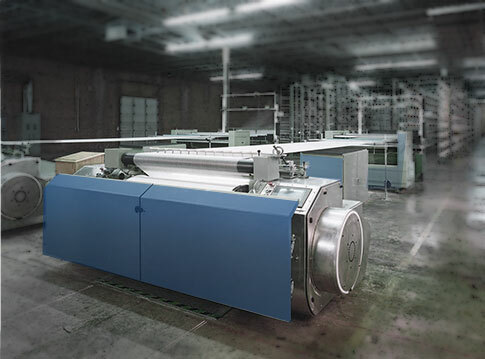 The McCoy Sectional Warper is designed for the production of high quality warps for high speed weaving of high quality spun and synthetic fabrics. 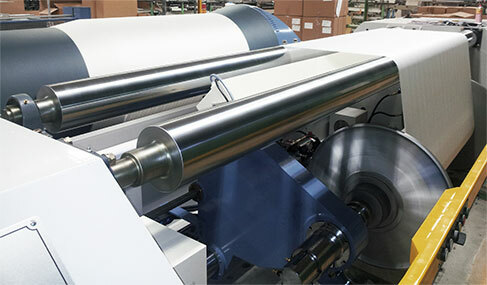 The state-of-the-art control system and high-tech servo motors combined with a wide range of cone angles on a perfectly cylindrical warp drum, make the McCoy Sectional Warper a high quality and high performing option for Sectional Warping applications. Working widths from 1800mm to 5500mm.